Thirsty Pilgrim: Dupont to Release Special Dry-Hopped Saison. 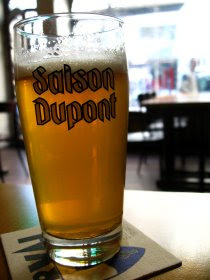 Saisonophiles, hold on to your straw hats: I was at Brasserie Dupont today, gathering material for an upcoming article, when I heard this bit of news: The brewery will release a special dry-hopped version of Saison Dupont in April. Gust Simons, the commercial manager at Dupont, said the plan is for the dry-hopped saison to be a once-per-year, very limited release — about 250 kegs and 300 to 500 Magnum-sized bottles. As this is a sort of experiment, Simons said it's unlikely that any would be exported to the U.S. or elsewhere. 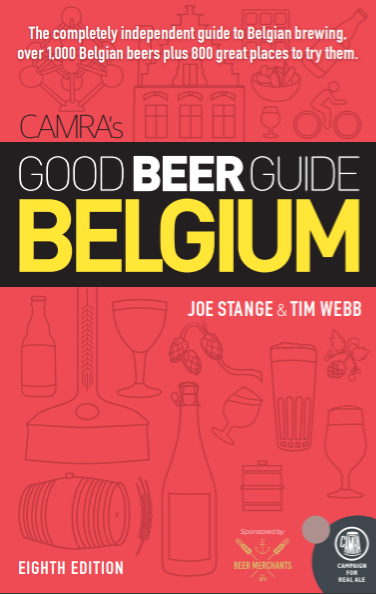 The brewery will give their best clients in Belgium first crack at it. The beer doesn't have a name yet — possibly Saison Dupont Dry-Hopped Cuvée, or something along those lines. Those are all the facts I have. Now comes the pure conjecture: I don't know how it will go over in Belgium, but Saison Dupont has plenty of devotees abroad who would love to get their hands on some of this. If the initial release is a success — i.e., if the beer is as good as one would expect — one would think they would make more (and send some overseas) next time around. In the meantime, this is the plan: once a year, very limited. Joe — sounds interesting, saison is a moveable feast after all. fantastic! Interesting that it'll just be keg and magnums. That's great news, Olivier. Do you know when in April? On tap in Chez Moeder Lambic this week - I am off to try tonight: yum.